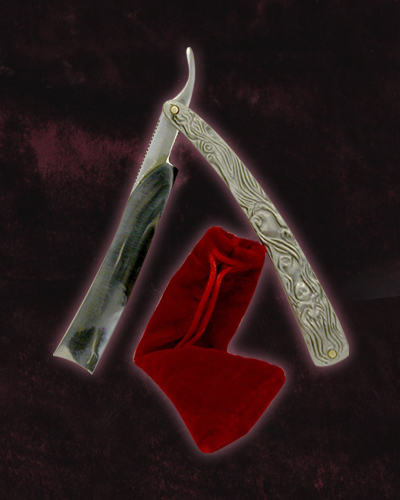 Bring home a piece of the blood-soaked, Oscar-winning movie Sweeney Todd! This highly detailed reproduction of the Demon Barber’s notorious straight razor was cast from the actual screen-used prop for incredible detail and authenticity. The handle features bas-relief detail of a woman with flowing hair on both sides. 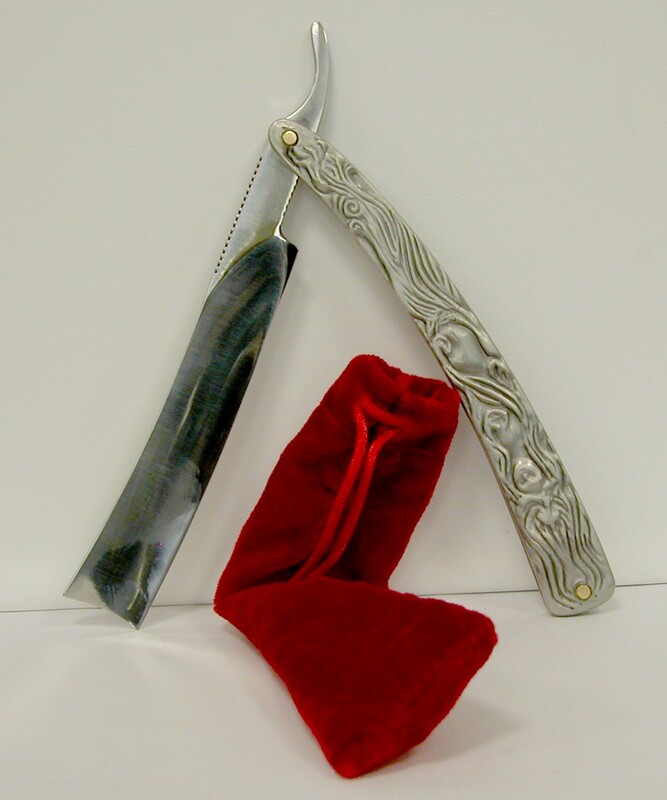 Razor measures approximately 7.25″ long closed (11.5″ unfolded) and comes in a red velvet drawstring bag. For prop replica purposes only, not a toy. Blade does not have a sharp edge.